A revamp of Kiama’s Australia Day Awards will see the honours being awarded on 26 January, rather in the lead up to our national day. “Having the Awards presented along with our Australia Day Citizenship Ceremony will make for a really special event,” says the Chair of the Australia Day Committee, Councillor Neil Reilly. 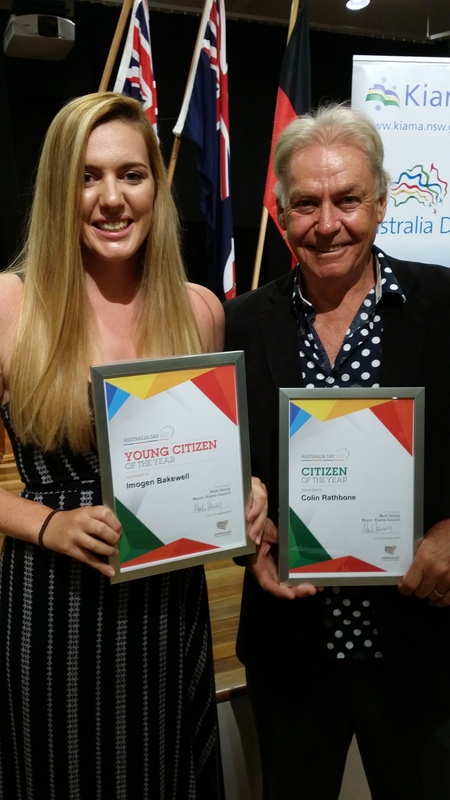 In recent years, Kiama’s Australia Day Awards have been announced in mid-January, in a ceremony which also bestowed a number of other Council achievement awards. Community Group of the Year. “We have decided to present these main awards on Australia Day, moving the arts, sports and environment awards to more appropriate times throughout the year,” says Cllr Reilly. “This will make it easier for people to decide about nominating someone, and increase the focus on the awards specifically to Australia Day. “Our local heroes are often a shy lot, so we need friends, family and colleagues to nominate them,” he says. In another format change, the 2018 Australia Day Awards and Citizenship Ceremony will be held at Jamberoo School of Arts. “This is really great initiative to move the ceremony around each year from Kiama to Jamberoo and the year after that to Gerringong,” says Cllr Reilly.